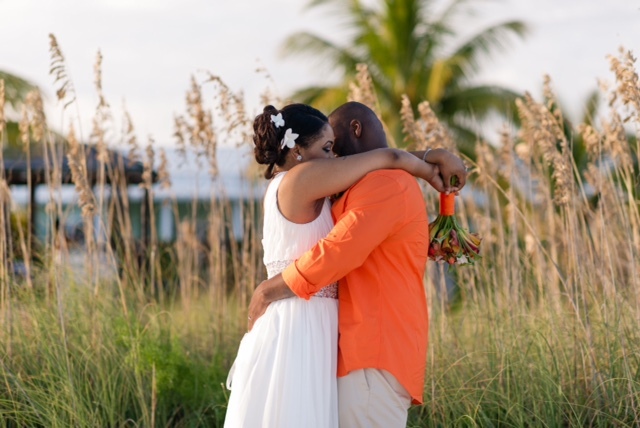 Fall is here and the temperature has cooled … it’s one of my favorite times of the year for hosting your Bahamas wedding ceremony. The temperature is a balmy 75 degrees and summer’s heat and humidity are gone. 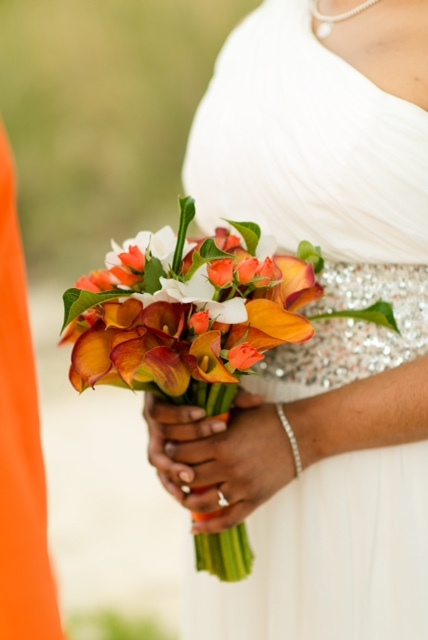 As bask in this time of the year, we share with you today Antonio and Jennifer’s intimate Fall Bahamas wedding from November 2013. 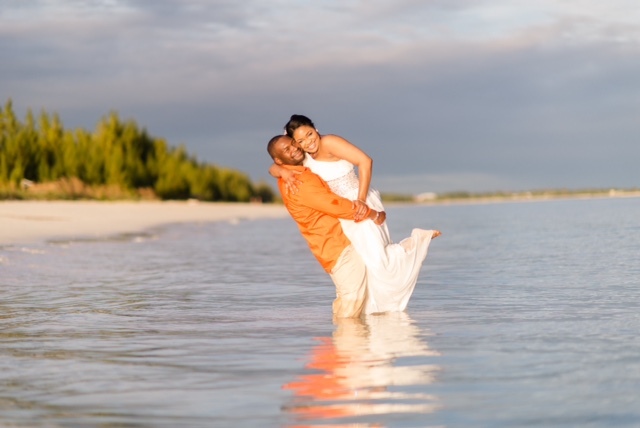 This Chicago couple traveled to Grand Bahama Island by cruise ship along with the bride’s sister and husband. Arriving in sufficient time to apply for their marriage licence, the couple was married the same day of arrival, allowing them time to enjoy a honeymoon before heading back to Chicago. 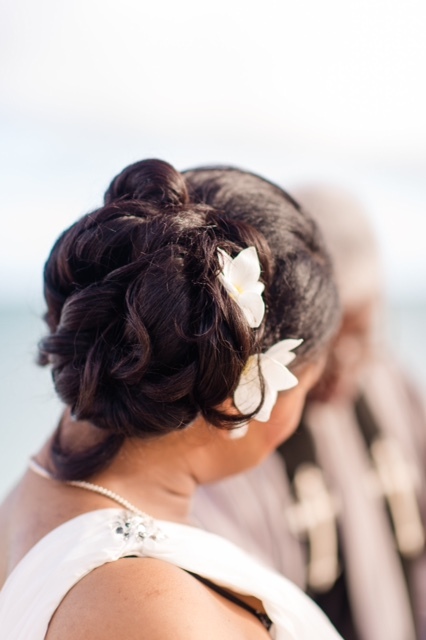 Once Jennifer and Antonio had been escorted to the Registrar’s Office and the Bahamas wedding licence licence was secured, we were back at their hotel, Grand Lucayan Beach and Golf Resort, for her in-room hair-styling and make-up appointments. Gregarious in nature, Jennifer thoroughly enjoyed every minute of her wedding ceremony followed by an amazing trash the dress at sunset. 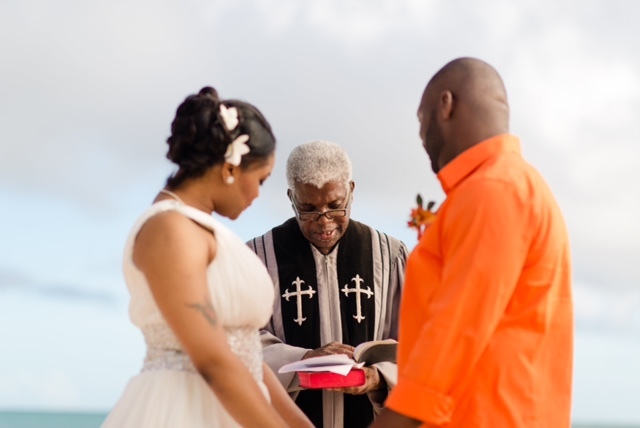 The couple exchanged vows at a private, secluded beach ceremony just before sunset.. 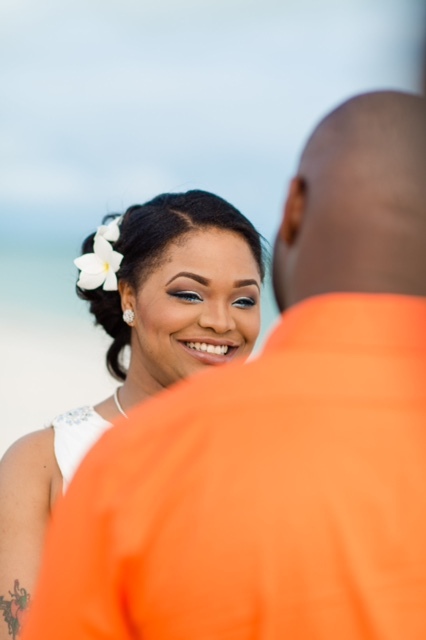 Your Bahamas wedding ceremony must take place before 5:00 p.m. during winter months and before 8:00 p.m. during summer months. Your wedding planner can guide you in determining your ceremony time and proper lighting for photography following your ceremony. Stunningly beautiful beaches abound throughout the Islands of the Bahamas. 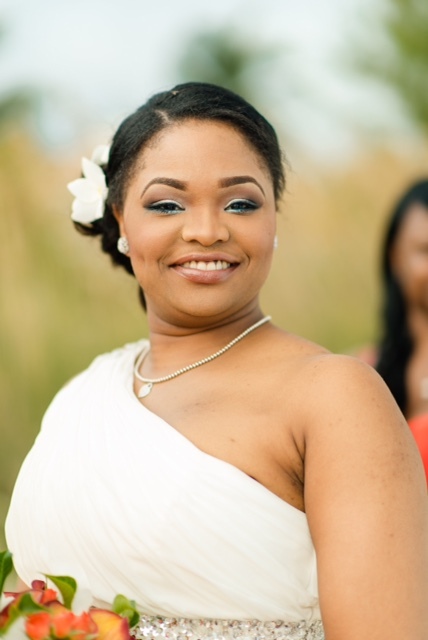 Chic Bahamas Weddings can work with you to identity that special spot to stage your Bahamas wedding ceremony in Nassau, Grand Bahama Island, Exuma, Abaco, Eleuthera or Harbour Island. Contact us today to start planning your special day!